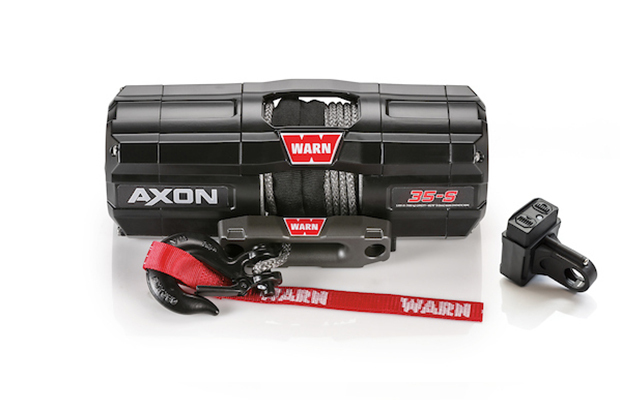 Axon Winches | WARN Industries | Go Prepared. 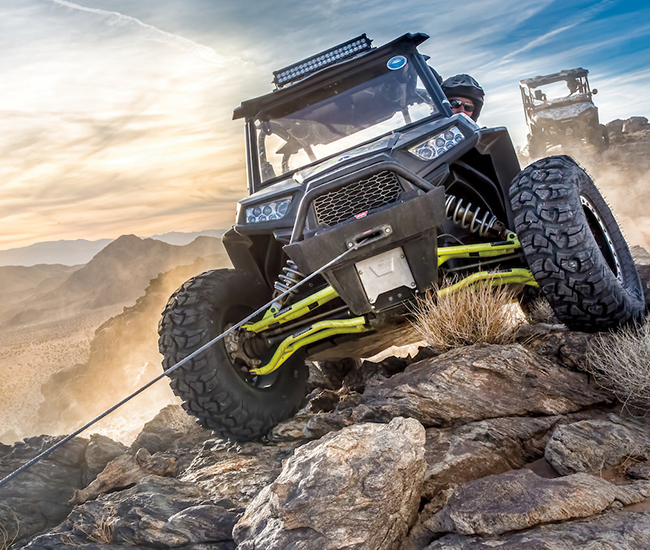 Rocky terrain, unpredictable conditions, and unexpected challenges can make anyone feel the heat. 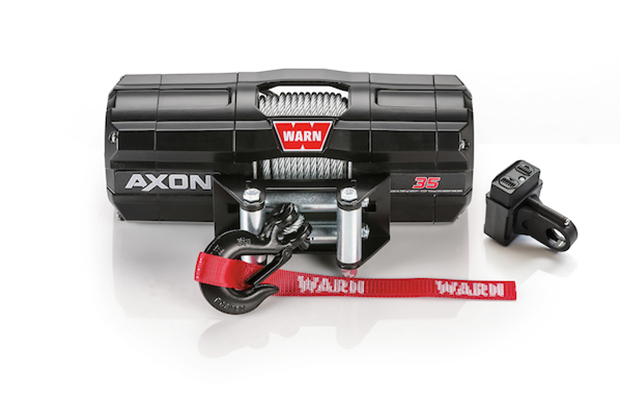 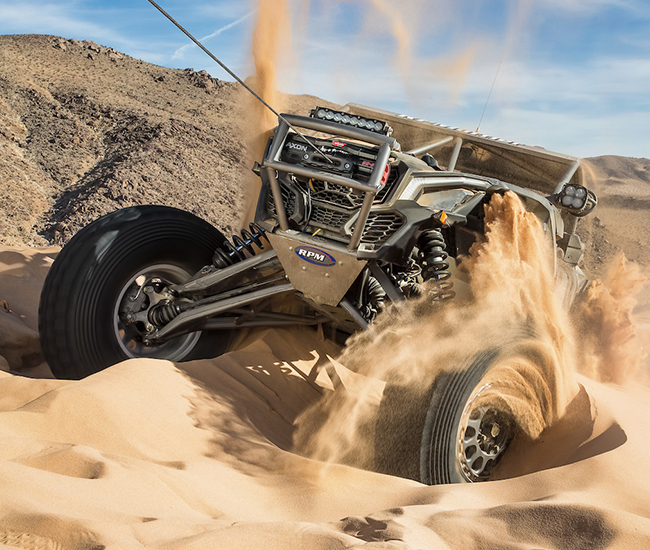 That’s why WARN’s new AXON winches take an already legendary reputation for proven performance to a whole new level. 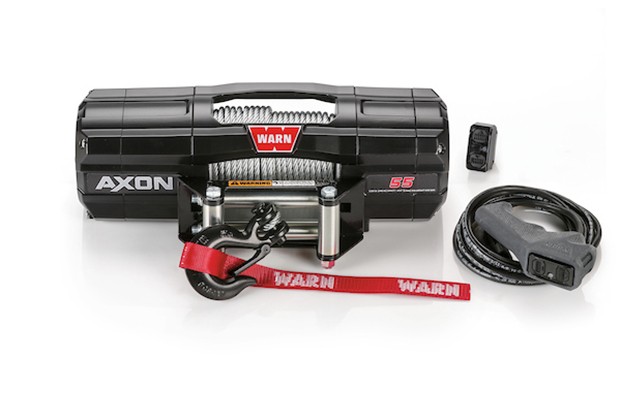 Re-engineered from the ground up, AXON winches completely protect critical components from water and mud with critical electronics sealed inside the metal housing.And with revolutionary new technology, AXON is the most advanced powersports winch ever. 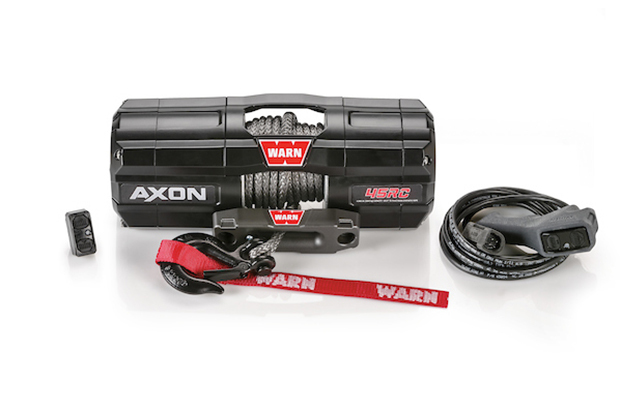 With the all-new AXON™ lineup, WARN has taken winching to the next level by combining a powerful motor and first-of-its-kind digital contactor into one unit called a Motactor™. 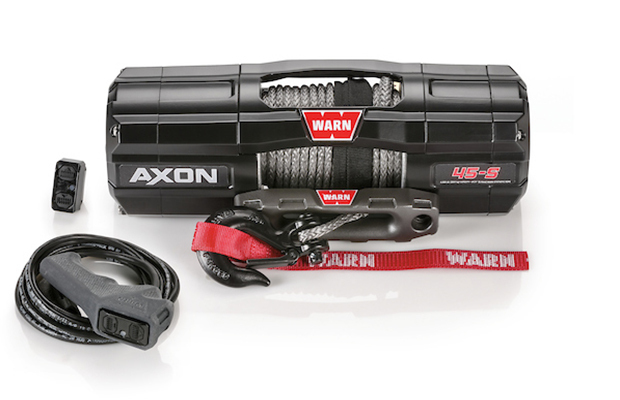 The WARN Motactor™ increases performance, drops installation time, and provides never-before-seen levels of performance and feedback to the user. 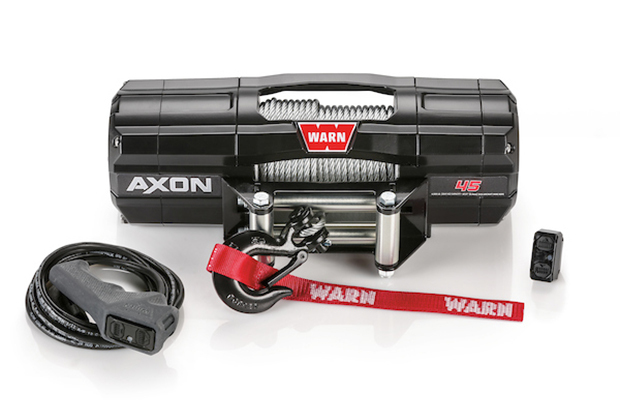 Tech is nothing without durability, so we made AXON the most durable powersports winch ever. 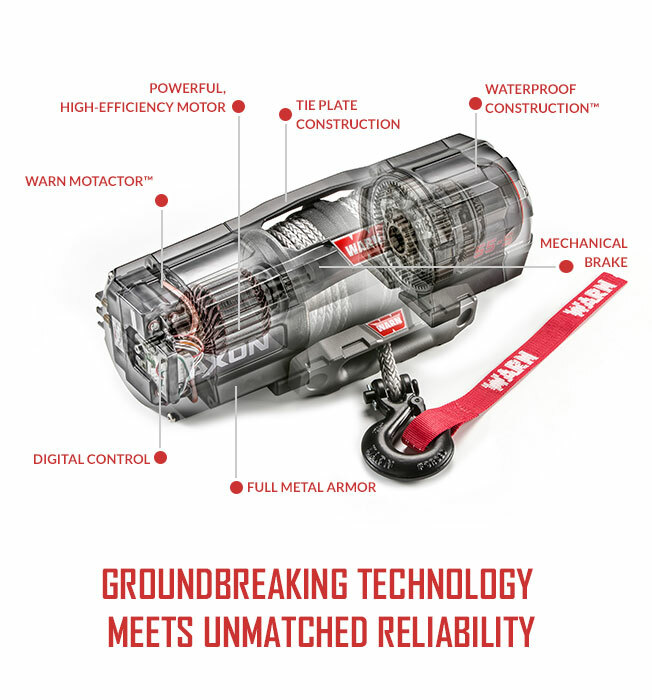 All-metal construction, waterproof sealing, and increased structural rigidity are made for extreme environments. 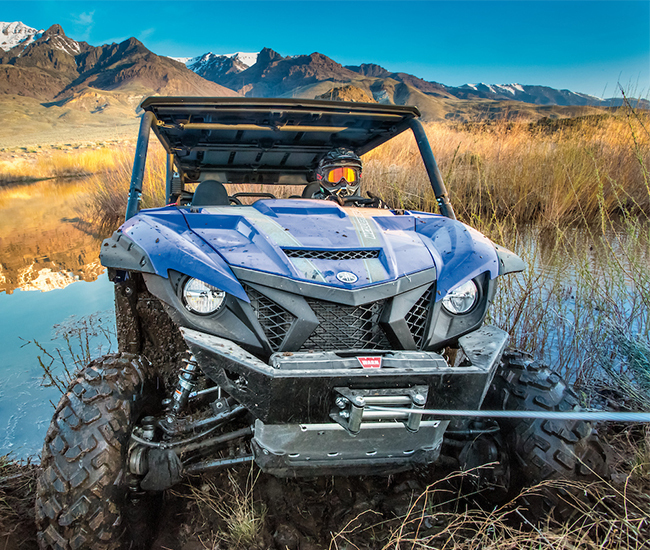 It’s smart, tough, and perfect for a wide range of powersports vehicles. 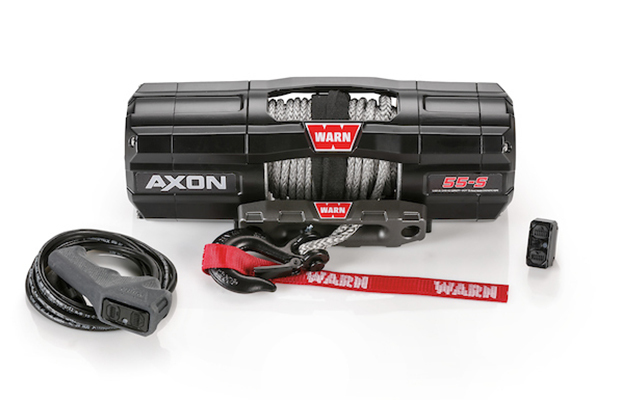 Available in 3,500, 4,500, and 5,500 pulling capacities, with a choice of steel or Spydura™ synthetic rope.